As General Manager of Innovation and Gateway Services Michael works with our customers in Government to lead and develop innovative solutions for consumers needing to find the right advice, services and support in health-related areas. He leads the My Aged Care and Carer Gateway services, and will be overseeing the launch and ongoing development of our Mental Health Gateway services on behalf of Government. Michael is also responsible for leveraging and growing our multichannel and product innovation capabilities across the organisation. 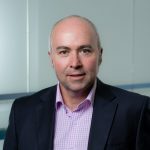 Prior to joining Healthdirect Australia in July 2016 Michael was the Director of Innovation, Strategy and Architecture for eHealth NSW where he delivered the e-health strategy for NSW Health as well as a long-term funding plan. Previously Michael has worked as a Director for PwC where he consulted to governments and major corporates on IT strategy. He also spent several years in senior management, architecture and security roles for Dimension Data. Commencing his career in medical research and roles in public and private healthcare, Michael has a PhD in Molecular Medicine.